The paper industry was at its height in Devon in the first half of the nineteenth century with 25 or more mills in operation throughout that period including up to five in Exeter, at Trew's Weir (active as a paper mill 1834-1982) and Head Weir (1798-1967) near the centre of Exeter, Lower Wear (1778-1829) and Upper Wear (1704-1884) to the south of Exeter near Topsham and Exwick Mill (1806-1860) on the other side of the river above Exeter. This is therefore a suitable point to consider some of the special features of this industry which has such close links with the book trades. In Exeter mills had existed on all the five sites mentioned above prior to their conversion or rebuilding as papermills. Head Weir, for example had previously been a fulling mill when it was converted to papermaking in 1798. It was in large part the decline of the traditional industries, especially the wool industry, which provided the opportunity for the rise and brief flowering of papermaking in the Exeter area. This growth was not without its set-backs. Edward Pim, the proprietor of Head Wear Mill, for example was bankrupt in 1814 (EFP 19 May 1814) and in 1825 the journeyman papermakers joined the carpenters, masons and helliers to demand higher wages. Their solidarity evidently had an effect as they were granted rises of between 1/6 and three shillings a week (EFP 31 Mar 1825, 28 Apr 1825). In 1848 the owners of Trew's Weir Mill were prepared to invest in equipment. An improved waterwheel was installed (EFP 11 May 1848) and when the mill was advertised for sale or to let two years later it was described (EFP 8 Aug 1850) as having: "Engine house, machine house, rag dressing rooms. Respectable dwelling-house, garden and several cottages. Plant: waterwheel 18ft high by 17 ft wide, 5 rag engines of 2 ft 9 in rolls, driven by 2 fly-wheels, 60 inch paper machine with drying cylinders and glazing tools complete, also: Fourdrinier cutting machine, presses, steam boilers, rag boilers and bleaching apparatus. The whole of the machinery is nearly equal to new, having been planted by the proprietors within a few years". With an average of some forty employees for each mill, the paper manufacturers provided one of the largest sources of employment in the area. Certainly the average size of these enterprises was well above that of other book trades. The 1851 census returns give the numbers of employees of thirteen printing and related businesses in Exeter and the largest is that of Thomas Latimer, the proprietor of the Western Times, Devon's leading radical newspaper. This employed ten men and nine apprentices. The most striking fact about those employed in the papermills was that the majority were women - 97 as against 67 men. Elsewhere in the country there was a high level of female labour in the paper industry, but Exeter ranks considerably above the average in this respect. 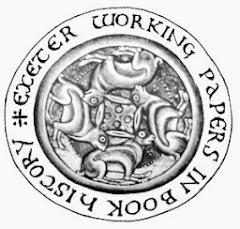 The level can be compared with the printing and book trades as a whole in Exeter which (including the paper trades) employed 504 individuals, 139 of them women. The papermaking industry was therefore exceptional in Exeter for the high level of female labour, but in certain age groups this was even more striking. Of the 35 employees aged less than 20, only eleven were male, and of the 60 who were in their twenties only eighteen were male. In all older age groups however men outnumbered women; of the 25 papermakers who were in their thirties fourteen were men. Presumably as women married they left employment or moved into occupations which could be carried out at home. The wives of several Exeter papermakers were laundresses, for example. The analysis can be pushed further by examining the position of papermakers within the household. The most typical employee was the head of the household, normally a married man. There were 40 married men, one unmarried man and one widower. There were by contrast only nine female heads of households, six of them widows. There were 22 wives working, many with no children recorded, either because they were recently married or because they were older women whose children were independent. In some cases the children were also employed in the mills. One of the highest categories of worker was the unmarried daughter. There were 33 of them as opposed to eight unmarried sons. The social status of female employees can be more clearly ascertained by examining the occupation of the husbands of married women. Of 22 working wives six were married to papermakers and it can be conjectured that many of these met their partners at work; certainly many wives had been born in papermaking communities. Of the rest nine were married to labourers, four of these being agricultural labourers, one a butcher's labourer and one a mason's labourer. In Topsham, located on the Exe Estuary, there was one fisherman and one mariner and there were a few more specialised artisans: two shoemakers, one plasterer, one sawyer one smith and one journeyman tanner. The occupation of the parents of unmarried daughters shows a similar spread. Of the 33 eight had one or more parents employed in a papermill. Nine were daughters of labourers, one of a blacksmith and one of a chair repairer. But the remainder show even more clearly the poor financial status of labourers in the papermills. Five of the unmarried daughters are actually described as the daughters of paupers, three of these being the daughters of pauper widows. In one family three unmarried daughters are supporting a father who was formerly a blacksmith and the remainder are supporting widowed mothers who, while not described as paupers, are normally following menial occupations such as charwoman or laundress. Sometimes the census returns reveal unmarried women living with what was then the social stigma of having an illegitimate child. A widowed rag cutter aged 70 had her 35 year old unmarried daughter Mary Reed, also a rag cutter, living with her, together with her six year old grandaughter, described as a scholar. Another woman papermaker, aged sixty, had lodging with her an unmarried woman Martha Bicket, apparently unrelated, who also worked in a papermill and had an illegitimate child aged eight. Martha Bicket had special reasons for moving from home but there was a more general need to move around to seek employment. This is demonstrated by the fact that there were 22 unmarried lodgers, equally divided between men and women. There are several cases where a married woman is described as the head of the household perhaps because the husband had had to move to find work, although this may not necessarily be in papermaking. The other side of the coin is shown by the father-in-law James Norman, aged 53 and not a widower, who was lodging with his son-in-law, a skinner. The degree of mobility of papermakers can be ascertained by analysis of their place of birth, which is recorded in the returns]. Of the 160 employees 32 were born in Exeter and 31 in Topsham. In all 132 were born in Devon. Two papermaking communities have pride of place with 18 (11%) coming from Bradninch, which had a population of 1834, nine from Crediton, which had a population of 6000. Three came from Rewe (population 289) and, most remarkable of all, six from the minute parish of Huxham which had a population of only 156. In contrast, large towns such as Plymouth or Tiverton, with no tradition of papermaking, could only account for one employee each. Of the thirty or so papermakers originating from outside Devon, the largest number, six, were born in Hertfordshire with three in Rickmansworth, five were born in Somerset, in Cheddar, Wookey and elswhere, four in Derbyshire, three in Berkshire, two in Cambridgeshire and one from Eynsford in Kent - almost all of them papermaking communities. More detail can be added for the eighteen papermakers where the birth of children is recorded, coupled sometimes with the evidence of the place of birth of the wife. This group can be split into two roughly equal sections: those who moved in a relatively restricted area within Devon and those who moved more widely across the country. There was significant movement from Sawston in Cambridgeshire to the Exeter area. William Reid Gee who lived with his large family in Trew's Weir Cottages, next to the papermill in the suburban parish of St. Leonard, was born in 1817 in Whittlesford, Cambridgeshire, a neighbouring parish to Sawston. His wife Martha was born in Babraham, a nearby village, so he probably met her when he was employed at the mill in Sawston. Certainly his six children were born in Sawston between 1841 and 1850 before he undertook what must have been the major upheaval of moving to the other side of the country just before the 1851 census. Also in Trew's Weir Cottages lived John Harvey Moulton. He was ten years younger than Gee, having been born in Sawston in 1827. His wife, Elizabeth, was born in Beddington, Surrey, which may indicate a short-term move on his part as a travelling journeymen, or possibly a move by his wife. Certainly he was back in Sawston from 1849 to 1851 when two children were born - the younger was only three months old at the time of the census. Other workers in Wear paper mill had undertaken similar long journeys. William Stafford was born in Newbury, Berkshire in 1820. His wife Anne was born in Romsey Hampshire and two children were born at Clatford, just south of Andover in the same county in 1843 and 1844. Another child was born in Korselston, Kent (perhaps Carshalton, just across the border in Surrey) in 1847. A fourth child was born in Topsham three months before the census was taken. The Pitts family are an example of Devonians who moved out of the county before returning home. William and Fanny were both born in Crediton in 1815 and 1816 where children were born to them in 1837 and 1841, a third child was born in Exeter in 1844 and another in Monmouth in 1847. By 1850 they had moved to Bradninch where a fifth child was born. Both the husband, the wife and the eldest child, a daughter aged 13, were employed in the mills in 1851. Each of their moves was made with at least one child aged three or under. Other families confined their movements to a much more local area and there seems to have been a considerable amount of movement from Bradninch on the River Culm about six miles north-east of Exeter. Henry Gould who was born in 1811 at Plympton, near Plymouth, married Mary, who was born in Bradninch. His first three children were born there between 1846 and 1850 and he and his young family then moved to Wear where a fourth child was born in 1851. Other workers had come to Exeter from other mills in the Exe and Culm valleys. William Caryl was born in 1812 in the small village of Huxham, on the River Culm two miles north-east of Exeter, which boasted two paper mills. His wife was born at Brampford Speke, little more than a mile to the west as the crow flies but several miles by road as it lay on the other side of the Exe and the Culm. It probably meant a move of workplace to the more accessible Stoke Canon paper mill as his children were born in Brampford Speke between 1837 and 1841. Another child was born in St Thomas, just over the river from Exeter, in 1843, by which time he had probably moved again to work in one of the Exeter mills. Even more local were moves between the four mills in the immediate Exeter area. Robert Broom had worked in Wear Mills, Topsham, between 1831 and 1846 before moving to St Leonard to work in Trew's Weir Mill. Samuel Ugler who was born in St Leonard in 1790 but seems to have deserted his local mill, to work in Pilton, near Barnstaple by 1820. He returned to Holy Trinity, Exeter by 1822, only to leave again for Wear Mill, Topsham, by 1828, In 1851 he was back at Trew's Weir Mill in St Leonards. His wife was also working in the paper mill, as were his unmarried daughters aged 28 and 22 and his married daughter aged 30. A measure of the general living conditions of the labourers in the papermills can be obtained by looking at the parishes where they lived and comparing the mortality in the cholera epidemics of 1832-34. The worst outbreak was in the year 1832 with 1135 cases reported to the Board of Health and 402 deaths recorded in the registers. In 1833 there were 20 deaths and in 1834 47, 19 of them in the workhouse, where no deaths from cholera had occurred in the outbreaks during the previous two years. Mortality was not evenly distributed across the city but was concentrated in the south western quarter, an area of crowded tenements and with poor sanitation. The intramural parish with the highest percentage of deaths to the total population is St Mary Steps, with 3.65 per cent. This was also the intramural parish with the largest number of papermakers, fourteen mostly being crowded into the decrepit houses on Stepcote Hill and the courtyards which opened off it. Only two papermakers lived in St George, which came next with 3.41 per cent mortality but in St Mary Major which had 3.26 per cent death rate a further eleven papermakers and rag gatherers are to be found. Also high on the list, although a partially extramural parish, is Holy Trinity with 1.54 per cent mortality. Six papermakers lived there. Shapter remarks in his History of the cholera in Exeter, published in 1849, on the relatively low mortality of the parish of St Edmund where 12 papermakers lived. The remains of the church of St Edmund can still be seen on the ruins of the medieval bridge but there is today little evidence amid the traffic roundabouts of the densely packed streets that were then to be found in the flat areas below the city walls and beside the River Exe. There were no particular sanitary arrangements and it was chiefly the poor that occupied thoroughfares such as Saddlers Lane, Edmund Street, Exe Island and Frog Street. However it may have been the proximity of the mills that employed them which contributed to the relatively low mortality. There was an extensive network of leats to serve these mills, now almost entirely filled in, which provided fresh running water. The mortality in St Edmund was 1.31 per cent, below the average for Exeter of 1.4 per cent. Other parishes were less crowded, being situated outside the walls. St David, situated to the north of the City had a mortality of 0.87 per cent, but most of these deaths were confined to Exe Street, adjacent to the Head Weir paper mills where eight papermakers lived in 1851. Across the river the parish of St Thomas which would have supplied workers to both the Head Weir and Exwick Mills from its 14 recorded papermakers also fell below the Exeter average of 1.4 per cent with only 0.9 per cent mortality. Generally though the labourers in the two Exeter papermills were crowded into the poorer areas of Exeter. Writing in 1845 Thomas Shapter remarks in his Report on the state of Exeter presented to the Health of Towns Commission that there had been a considerable improvement, with many sewers having been laid, although these had not reached all streets in the poorest three parishes of St Edmund, St Mary Steps and St Mary Major. These parishes had an average rateable value of £2/8/5, compared with £4/2/11 in the mixed parishes and £10/9/7 in the wealthy parishes. Annual mortality for the period 1838-42 averaged 1.28% for the wealthy parishes compared with 2.69% in the three poor parishes. Generally though mortality compared favourably with other towns. Shapter devotes considerable attention to conditions in the poor parishes. He does not mention the paper makers but describes the leather workers, whose damp or dusty conditions were similar to those in the papermills, although the workforce was mainly male. Of the men employed in the wet work of tanning and the hot and steamy work of hot-pressing (comparable to the work of the vatman and coucher) he says: "The men employed in these several departments are robust, fine, healthy-looking people, eat largely, are liable to no specifice disease, and peculiarly free from chest complaints, consumption in particular. ... The departments of grounding and stoning, from keeping the workmen in an atmosphere of dry dust ... occsaionally produce cough; but this seems accidental, as the cough is not permanent, nor followed by any evil consequences, as consumption or shortness of breathing. Persons liable to asthma are, however, unable to continue labouring in these departments." The same must have been true of the rag cutting departments of the neighbouring paper mill. Shapter offers us an impression of housing in the three poorest parishes: "The aspect of the houses of this district is not very inviting: they preent a general appearance of poverty and dirt; nor is this to wondered at, when it is recollected that of the many rooms composing these houses, one, or at most two, are occupied by separate families; there are, in fact, too many instances of families, consisting of eight, ten or more persons, having but the limited accommodation of a single room, ranging from 10 to 14 feet square by 9 feet high, in which they sleep by night, huddled together in beds or on the floor, and live by day doing all the housework necessary for so large a number." Ten year later we are again privileged to gain an insight into the lives of the otherwise anonymous mass of humanity which was crowded into the poorer areas of Exeter, this time through the medium of the enumerators' returns for the 1861 census. The evidence, if we are looking for artisan dynasties is inconclusive. Few survive the ten years as papermakers in the three poorest parishes. Women would have married, men moved on with their families, some may have changed occupations, others were too young to have featured in the 1851 census. There are however a few survivors. In St Edmund Edward Tremlett, the proprietor of Head Weir Mill has been succeeded by William Tremlett who is described as employing nine men (the women are conveniently ignored). Among the women at the mill is Sarah Chapman aged 94, not recorded in the 1851 census who is described as "assistant at paper mill". One of the nine men employed was probably Henry Battershall, aged 59, who since 1851 had moved across the river from Cowick Street, St Thomas to St Edmund. In St Mary Steps Elizabeth Coleman still lived in Stepcote Hill. In 1851 she had been descibed as a "forewoman at paper mill" and was married to John, shoemaker; by 1861 she had been widowed and is now merely described as a rag sorter. In Ewings Lane, also in the parish of St Mary Steps, Charlotte the unmarried daughter of John Bright, chair repairer and now aged 33 continued her work as a labourer in the paper mill. Still living in St Mary Steps, though not at the same address as in 1851, was the unmarried mother Mary Reed. Her own mother had died since 1851 and her daughter Eliza, now aged 17, had joined her mother as a labourer in the local paper mill.